Kanakuk Haiti, in partnership with Cross International, provides the children of Haiti with education, daily nutrition, and a personal knowledge of Jesus Christ. Over 4,200 students and 172 teachers and directors are impacted by Kanakuk Haiti in 17 schools and an orphanage. There are two ways to get involved with Kanakuk Haiti! Help us spread the love of Christ by committing to help us in our goal of packing 5,000 Christmas bags for the children of Haiti! We’ll provide the required packing supplies and a shopping list, all you need to do is gather the gift items for each bag, fill the provided bags, and mail them back to Kanakuk using the provided shipping label. It's that time of year when we are gearing up and collecting items for Haiti! Our goal is to provide Christmas bags for 6,000 children; we still need 3,000 bags! We NEED your help! Help us make the difference in a child's life - commit today! Read more about Sign Up! I can't believe it has already been 2 months since our trip to Haiti. A group of 20 of us left from all over parts of the United States, met up in Miami and flew to Port au Prince for 4 days. We had the INCREDIBLE opportunity to help and serve our friends of Haiti. I just wanted to share with you some of the most beautiful pictures the photographer took while we were there!  make sure to select "Kanakuk Haiti fund"